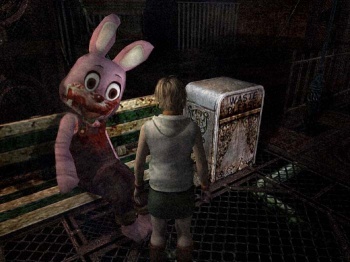 Konami Producer says code used in Silent Hill HD Collection was unfinished. One of the reasons why the HD release of the Silent Hill collection was so difficult to make, was that it was based on buggy archived code, said Tomm Hulett, Senior Associate Producer in charge of the project. Ten years ago, a lot of game companies, including Konami, thought they'd never have to refer to old code again once the game shipped, he explained. They didn't preserve the finished code, just the half-polished version, written before final release. "During debug," Hulett recalled, "we didn't just have to deal with the expected 'porting' bugs, but also had to squash some bugs that the original team obviously removed prior to release, but we'd never seen. "I think at one point Heather [from Silent Hill 3] was blue." In the end, these bugs meant it took as long to put together the collection as it did to make Silent Hill 2. "Now," Hulett hopes, "it's clear that having all that data in an easy-to-manage format is important." Porting from the old code did, however, throw up some unusual data: old textures and artwork from the original release that, thanks to lack of graphical clarity, had never before been seen on consoles. For Hulett, adding these puzzle clues and extras was a pleasant bonus. That said, Hulett, a huge Silent Hill fan, has now gone through the collection fired with "righteous indignation," documenting every problem he could find. The result? A ton of fixes to work on. Good luck to them. One thing to be thankful for: These days, most problems can be fixed with a patch download.